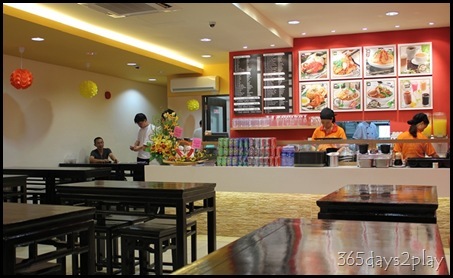 Nowadays, in order to fuel the food blog, we are always on the look out for new places to try. After seeing an ad put up by Sun Coffee Planet in the newspapers, we decided to stop by after finding ourselves peckish while driving around the Great World City area. With a cool sounding name such as Sun Coffee Planet, I was kinda expecting the place to be a western cafe operated by some young punk. It turned out to be the exact opposite, as was evident the moment we stepped in. 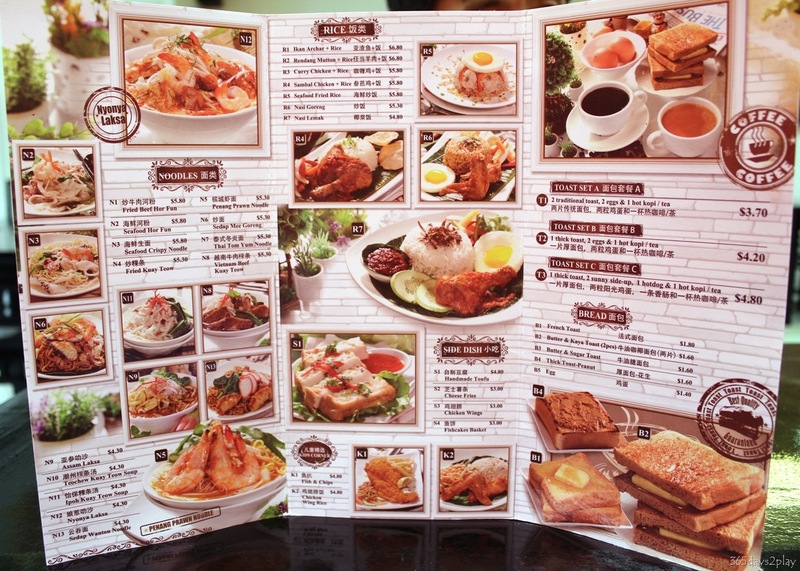 Sun Coffee Planet looks, is, very local and traditional, very much like the ubiquitous Killeney Kopitiam! They have the usual kaya toast, eggs and kopi thing going on, in addition to main dishes like Fried Beef Hor Fun $5.80, Sedap Mee Goreng $5.30, Nyonya Laksa $4.30 and even Rendang Mutton with Rice $6.80. Interestingly, you can order Fish & Chips $4.80 under the Kids Menu, and cheese fries $3, if you must have something western. Not a bad idea if you’re there at 3am after a night of hard partying at Zouk, since Sun Coffee Planet operates 24 hours. 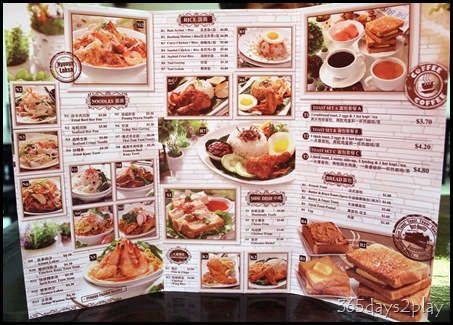 Click on the photo above to see Sun Coffee Planet’s menu. Well, since we were only merely peckish and not looking for a full meal, we decided to try out the kopi, kaya toast and french toast. The French Toast $1.80 looked very promising when it arrived with a huge blob of butter which quickly vanished into the French Toast by the time the shot was done. I must say it was not too bad, but it was a little too dense. 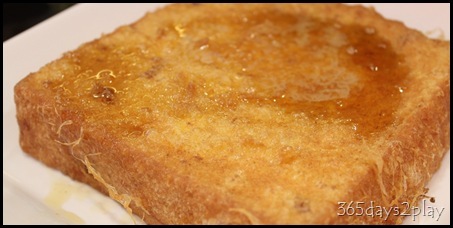 My favourite French Toast is still from Crystal Jade, but it costs more. 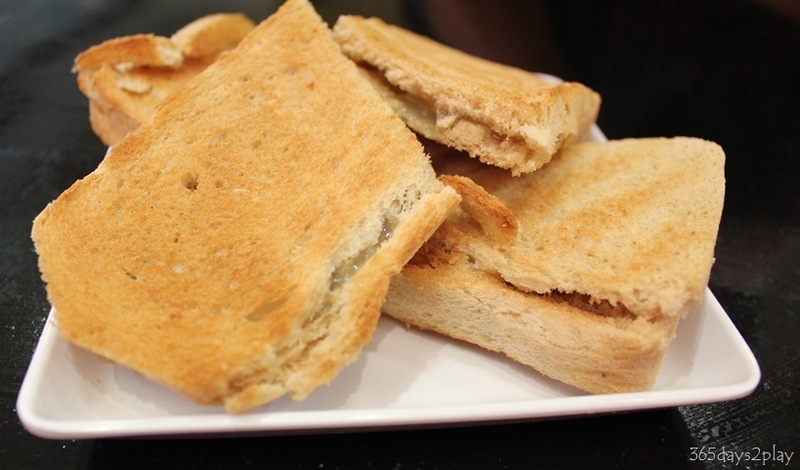 The Kaya Toast was also quite good. 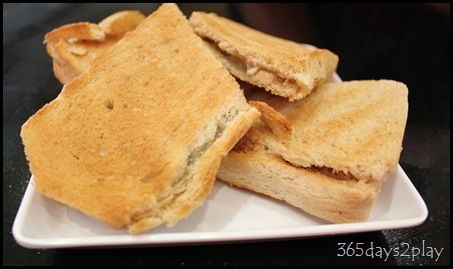 The toast was crispy and the kaya was aromatic. It was at least better than Yakun, which I have mentioned several times, has totally lost my respect in the Kaya Toast arena. The kopi was a miss though, so no photo as well hehehe.